That was the end of March, 2013. Today, I am less than two weeks away from beginning a doctoral program in Depth Psychology and Somatic Studies that will take me roughly five years to complete. After devoting myself to providing spiritual direction and healing the past twenty years, I am now adding another potent layer to that foundation which almost feels like a reinvention: intellectually, spiritually, emotionally, even physically. Recent research shows the amount of women entering their “second act” and/or reinventing themselves is on the rise, especially for women over forty-five. Why? There are many reasons, from women who have experienced a significant change in their job, income or marriage, to women who are ready to stop taking care of others and ready to fulfill their soul’s deeper purpose. We either grow or we die. Some people have questioned why I would make such a big commitment at this point in my life. And my response is: “I have years of life lessons that provide a strong foundation, and at this age, ‘If not now, when?’ Besides, the journey required to get there is what excites me the most. It will be soulful, demanding and spiritual—qualities that have always appealed to my deeper self. Yes, I’ll be 5 years older by the time I graduate, but I’m going to be 5 years older anyway, so why not pursue something I’m passionate about and attain my Ph.D. along the way? • After all of the life experiences you’ve had so far, what do you want more than anything right now? It may help to imagine fast forwarding to the end of your life and looking back. What does your soul need to feel that you lived life fully, richly, deeply? The trick is to release the opinions of others and identify what you truly want. • Do you need to forgive yourself and others for the past? Resentments way us down and prevent us from moving forward. Take time to release yourself from regrets and past mistakes as well as what you perceive others have done to you. • Accept that change is scary. Whether it’s “good” change or “bad” change, all change affects our nervous system and can be very challenging. Allow yourself to feel the fear, and then take action. Taking a step forward often alleviates the anxiety. • Surround yourself with people who support your growth. “Wet blankets” dampen our spirit as much as our enthusiasm. When we are in a mode of change, we need all of the positive energy and support possible. 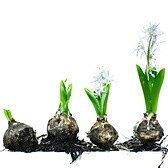 Like a newborn, our new beginnings need to be protected and nurtured. • Engage in self-care. During the process of reinvention, it is important to care for one’s self and to be compassionate during the transformation. • Re-invent, Re-vitalize, Re-launch and keep going! This entry was posted in Uncategorized and tagged circle of grace, depth psychology, education, evolve, Growth, laura grace, pacifica graduate institute, reinvention. second act, somatic studies. Bookmark the permalink.